We were proud to be the HVAC contractor on the Carvana Project in Raleigh, NC. It was great working with Parkway Construction. This particular Carvana project has a 5-story vehicle tower with 3 adjacent customer vehicle delivery bays. The cars are picked up in the tower and brought down to the delivery bays for the customers to inspect them and take delivery. A single story houses the delivery bays and the sales/customer area. The HVAC equipment installed was the new commercial high efficiency and versatile VRV (Variable Refrigerant Volume) systems manufactured by Daikin. Contact us so we can work on your project. 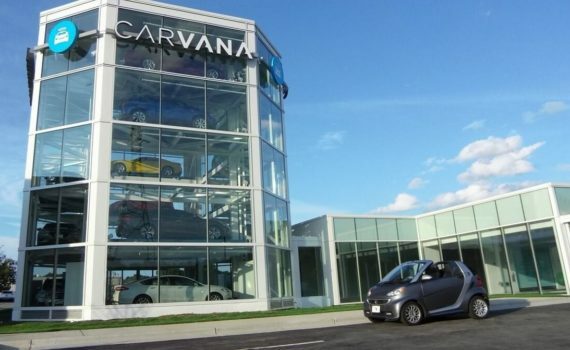 Carvana has established itself as “the new way to buy a car,” selling cars online and giving customers the option to take delivery via the “Carvana Car Vending Machine.” These distinctive glass and steel towers serve as eye-catching branding elements for this growing company.